Discover paradise at our remote beaches in one of Mexico's best kept secrets. 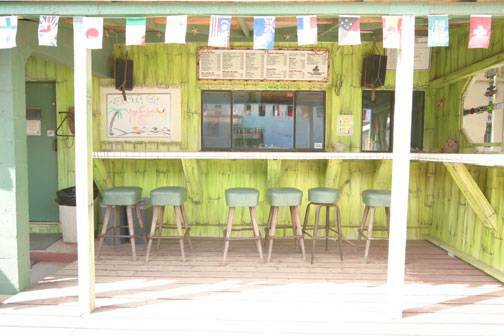 Coyote Cal's is a legendary place to get away from it all and to experience the real Baja in a safe, fun, and relaxing environment. Backpackers, fishermen, off road riders, and campers are finding Coyote Cal's Mexico Hostel, the newest hot spot for Old Baja Adventure. 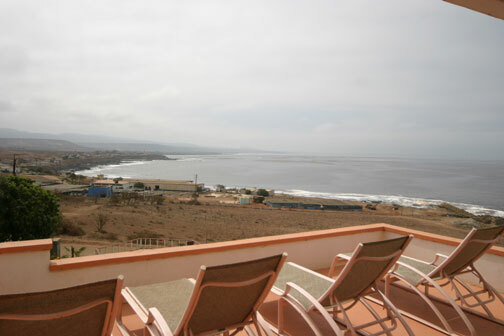 Located on the beach in the town of Erendira, Baja California, 60 miles south of Ensenada Hostels and only a 3. 5 hr drive from San Diego Hostels. Improve your tan on our ocean terraces, learn how to surf and then party all night. 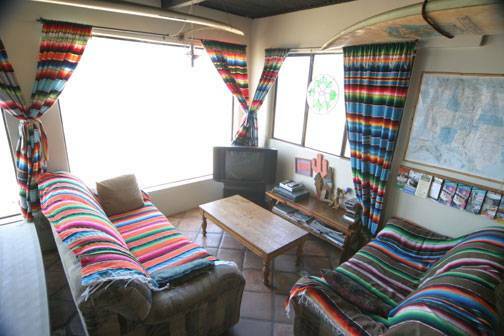 Coyote Cal's Mexico Hostels offers, camping, off road mountain biking and hiking trails, Grey Whale and Dolphin watching, Mexico fishing, Yoga, Thai Massage, Baja surfing, snorkeling and yes, of course, partying at Coyote Cal's Mexico Hostels Barefoot Bar & Cantina. Find paradise or party the night away! 1 Crows Nest - $60. 00/Night (3 night minimum. Priority given to couples.) 360 degree views of the ocean and untouched landscape. 20 Tent Sites - $10/Person/Night. Add $3 for breakfast. 1 RV Site - $10/Person/Night. Add $3 for breakfast. Small safe village with the possibility of playing soccer, baseball, or basketball with locals. How do I get to Coyote Cal's Mexico Hostels? From Downtown San Diego take the Tolley to San Ysidro. Walk over the bridge and keep walking until you exit until you come to the first Mexican street. Turn left and at this street and walk two blocks to the end, (Do not talk to the taxi drivers, they will try to drive you across town to the downtown bus station when the bus station you need is only 75 meters away! ), at the end, turn right to the bus stations, "Autotransporte" are about 75 meters and across the street from the Taxi parking lot. Use "ABC" Bus Co. You will have to first purchase a ticket to Ensenada, Cost about $15, and then transfer to a bus to Erendira. Approximate cost to Erendira is $11. Departs every 1/2 hour. Depart before 2:00pm to arrive at the hostel in daylight. Bus drop off at Hwy 1 KM 78 turn off. The next 12 miles are an easy hitch. (If you do not want to hitch you can take the bus to San Vicente. Across the street to the left of the Pemex Gas station is a hotel called Mimi Hotel. There they have a taxi service to the Hostel 24hours a day for $300 pesos min. The owners name is Gabriel) There is only one road into town and it goes right by the hostel. Total travel time from San Diego is (5) hours. Take the bus to Ensenada. Station wagon taxis can be hired anywhere in Ensenada for a flat fee of about $75. 00, agree on the price before you go! The taxi will take you to the store, "Calimax", buy beer and drop you at the front door of Coyote's Cals Mexico Hostels. (9) fit in the taxi. Make sure you tell him he must take you on three miles of dirt road to the hostel for the same pricel. Interstate (5) to San Diego/Tijuana Border. The Toll or Scenic Road is to the right at the top of the first bridge, cost $8. 30 one way! (Three tolls at $29 pesos each toll.) The free road is over the bridge, stay to your right as you pass over the bridge with the flags. Do not take the right turn off ramp just after this bridge. Take a right between the first and second traffic circles, (Big "V"), & (Aztec Indian), this will be after Costco and McDonalds, the turn is at a "BajaNorte Bank", follow traffic. Both roads are Mexico's Hwy 1. The roads in Baja California are very good and you may see random check points along with the regular check points for drugs and guns. There is usually Federal Police just between the last toll both and Ensenada city limits and about 20 kilometers out of Ensenada on Hwy 1. Control your speed through these areas. Erendira turn off is 181 km south of the border and at the 78 km marker south of Ensenada. Our Mexican hostel is another 24 km after the turn off on the beach and at the end of the last power pole. Drive through the town of Erendira and follow the signs. There will be about 5 kilometers of graded dirt road after the town. Total driving time is 3-4 hours. Hwy 1 from Tiajuana to the Km 78 exit is in excellent condition. The road to Erendira is paved with a few pot holes. Not a problem for any car. The last three miles to the hostel is dirt road. Sometime with muddy areas. Still not a problem for small cars but caution is advised. ( That means drive slowly.) There is a cliff area just after the Motel Erendira, please keep to the right of the road for a 50 meter area. Make sure you stop at the stop sign located in the beginning of the town at the end of the paved road! Its a $100 fine! Note: Free Road Short Cuts. The owners of the toll road do their best to trick you into using the toll road. If you want to save the tolls and shave about 20 minutes from your travel then do this:After you leave T. J. on the Free road you enter into the eastern part of Rosarito. You cross over the toll road with the view of the power plant in front of you. Turn left after you cross the bridge and get on the toll road at this point. Just before the toll gates you can turn right at the Pemex/AMPM gas station. Drive through the station and get back onto the free road. You just drove around Rosarito traffic and stop signs!At the kilometer 42. 5 point and across from Raul's Restaurant, (Now closed), you can get back on the toll road for free. Travel ten miles or (17) kilometers, exit the toll road at the La Fonta Exit and get back on the free road. At this point I recommend you do not exit at La Fontas and stay on the toll road because of the fantastic ocean views. It's worth the $2. 76! equipment rentals for fun in the sun... bikes, mask/snorkel/fins, surf and boogie boards. 35 Bunk Beds Rooms with 4, 6, and 8 beds. A fun, remote, safe fishing village 3-4 hours south of San Diego. 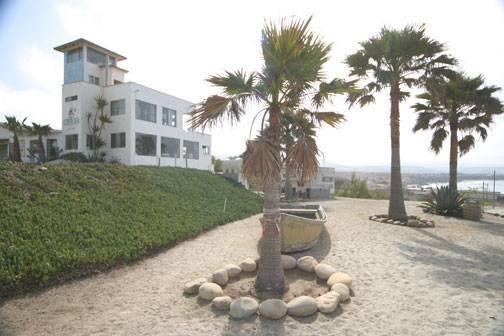 The hostel sits within view of passing dolphins and whales and is perched next to the Pacific Ocean. It's in a sense classic Baja California, with friendly locals, and fresh seafood, and Mexican cuisine. Amazing and fresh Mexican restaurant. Food made with love. Can reserve via our website. From Downtown San Diego take the Tolley to San Ysidro. Walk over the bridge and keep walking until you exit until you come to the first Mexican street. Turn left and at this street and walk two blocks to the end, (Do not talk to the taxi drivers, they will try to drive you across town to the downtown bus station when the bus station you need is only 75 meters away! ), at the end, turn right to the bus stations, "Autotransporte" are about 75 meters and across the street from the Taxi parking lot. Use "ABC" Bus Co. You will have to first purchase a ticket to Ensenada, Cost about $15, and then transfer to a bus to Erendira. Approximate cost to Erendira is $11. Departs every 1/2 hour. Depart before 2:00pm to arrive at the hostel in daylight. Bus drop off at Hwy 1 KM 78 turn off. The next 12 miles are an easy hitch. (If you do not want to hitch you can take the bus to San Vicente. Across the street to the left of the Pemex Gas station is a hotel called Mimi Hotel. There they have a taxi service to the Hostel 24hours a day for $300 pesos mn. There is only one road into town and it goes right by the hostel. Total travel time from San Diego is (5) hours.